Life is not always a bed of roses, as everyone knows. Losing a family member or friend is a painful experience that we all go through at some point or the other. So, to have sympathetic people around you matters immensely during such times. And when someone you care for has suffered a loss, you would like to express your condolences too, right? Now, no matter where you live, sending beautiful sympathy flower arrangements to Australia on a sombre occasion is no challenge at all. Our wide variety of white blooms and convenient ordering system will make your work easy. Wreaths – Wreaths made of white carnations, white gerbera daisies or white roses are elegant expressions of sympathy. They can be laid on the casket too, and are a sign of peace and eternal rest. Often paired with ferns, these wreaths are made of fresh flowers and can make a funeral ceremony classy. You can choose wreaths made of purple orchids and white carnations or a mix of red roses, purple gerberas, and white carnations.Send Wreaths to Australia from PickupFlowers to pay your respects for the final journey of a loved one in Australia. White Roses – Symbolic of purity, innocence and peace, white roses make a charming sympathy bouquet or even when they come in a tall glass vase. These show your empathy, concern and support in a graceful manner and can be used to adorn the funeral service. They look beautiful when combined with white lilies too. Send funeral flowers to Australia with our international flowers delivery service. White Chrysanthemums – These gorgeous plants feature large flower heads with yellow centres and can make for a lovely sympathy bouquet. They are perfect for funeral ceremonies and can be paired with white roses or even red roses to create an arrangement that conveys your sorrow and condolence like none other. Peace Lily Plants – A peace lily plant is a very thoughtful and unique way to say that you sympathise with your dear one’s loss. These plants have shiny and big leaves with serrated edges and the white flowers resemble calla lilies with their hooded shape. These plants can become quite tall and have dense foliage. Peace lilies often thrive in shade too, and can be kept in a room or office as a remembrance of your kindness. Asiatic Lilies – These big and beautiful flowers are a sight for sore eyes and look wonderful in a bouquet or a vase. They have large petals and an exotic look. Bouquets of white or pink Asiatic Lilies can be sent to show your sorrow and sympathy. An arrangement of white lilies and roses can be elegant too. 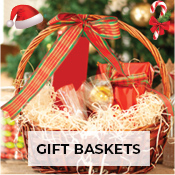 More gift ideas – Besides sending flowers, you can also send fresh fruit baskets to a grieving friend or family in Australia. These contain seasonal fruits like oranges, apples, grapes, bananas and pears. They look colourful, beautiful and show that you care about the health of those who are mourning their loss. Sad occasions are truly disheartening, but by sending beautiful sympathy message flowers to a loved one, you can give him or her hope and show kindness. So go online and order now.